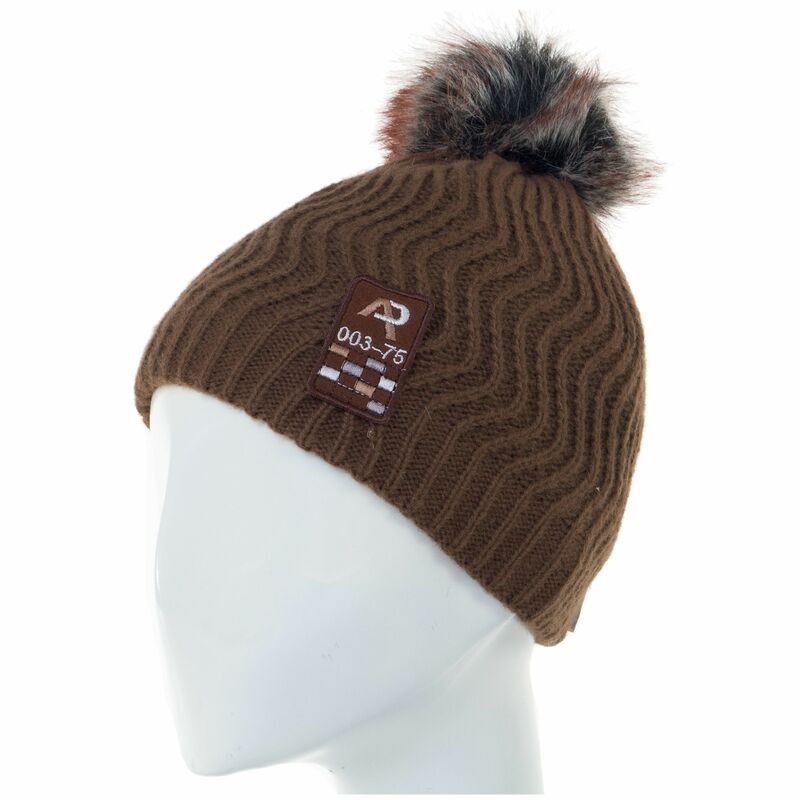 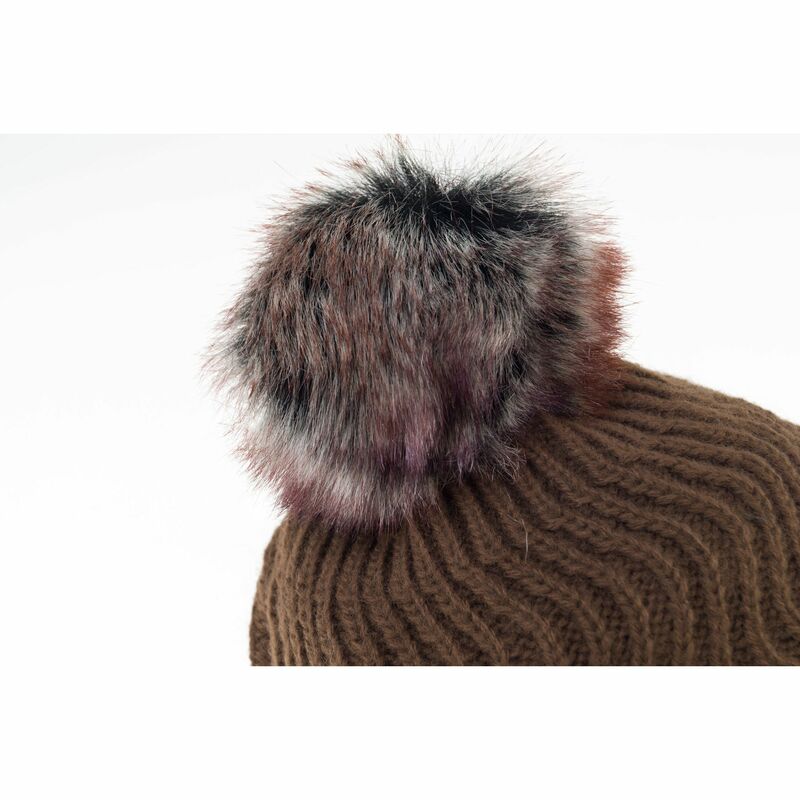 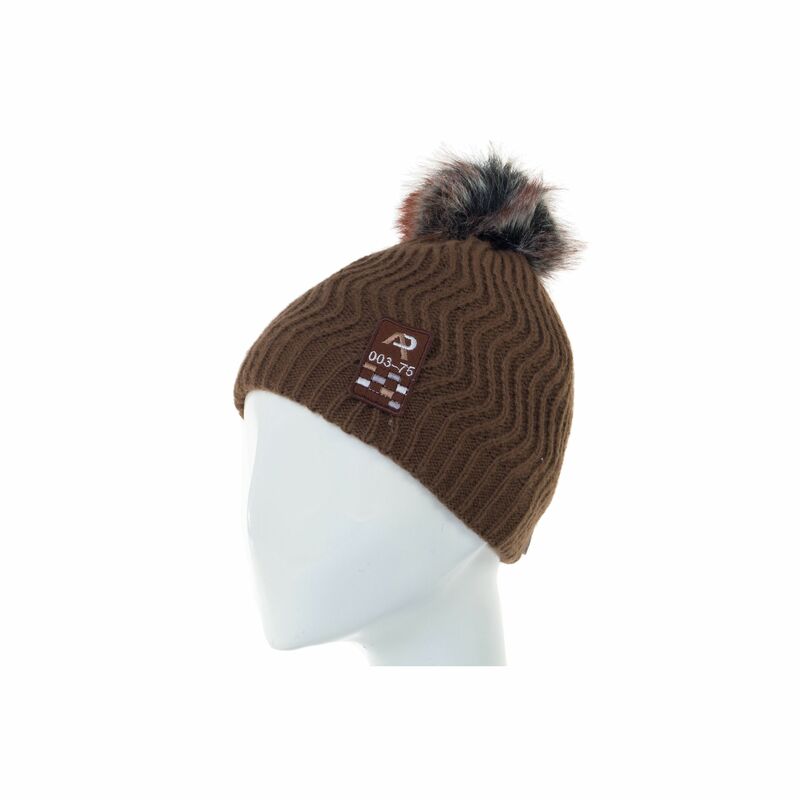 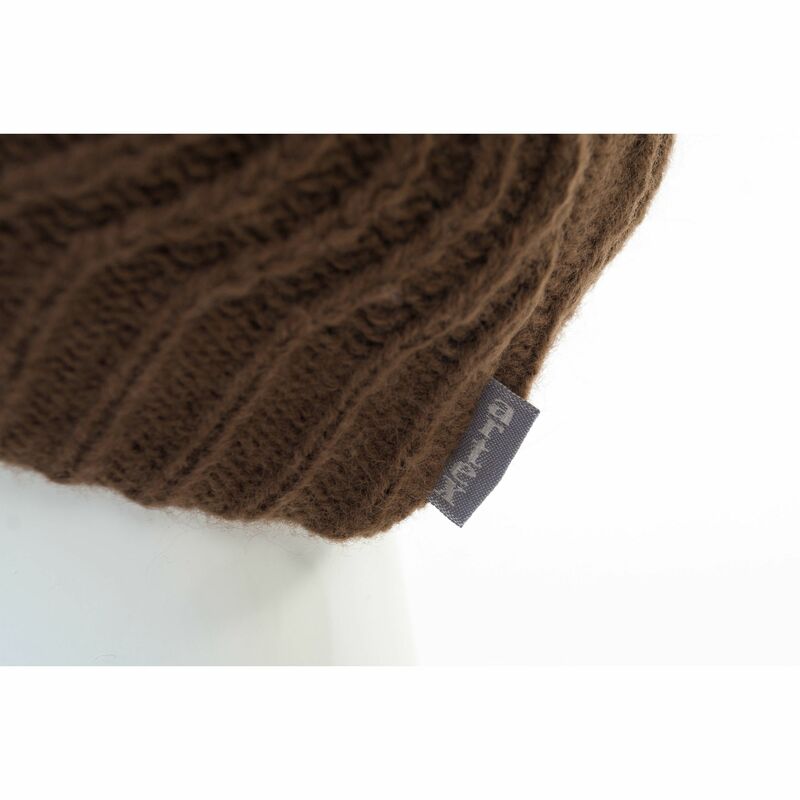 Warm hat with pompom for the little ones. 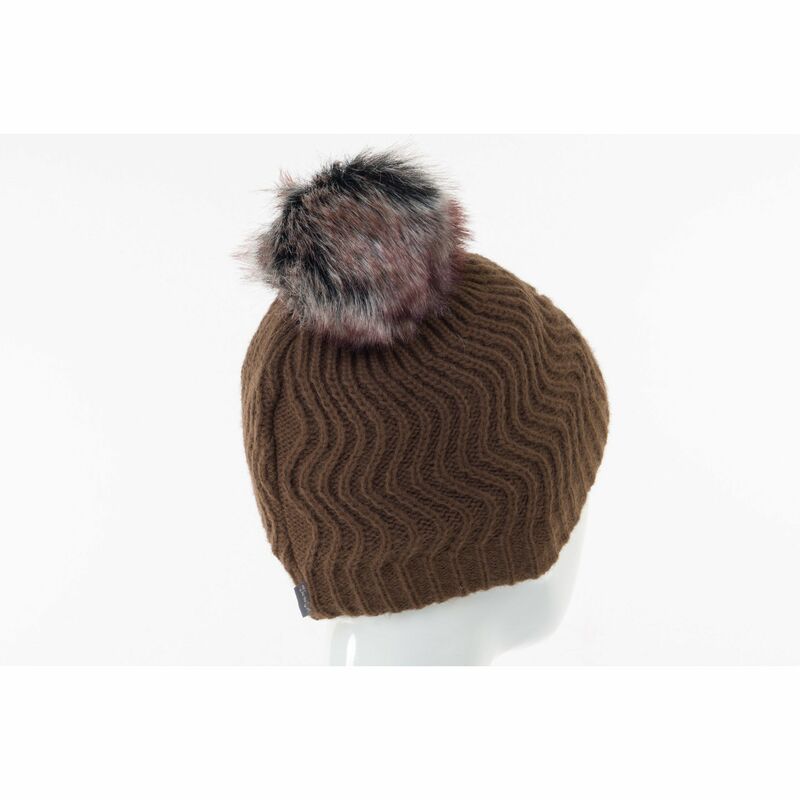 Pompon in shades of black, gray, brown and blue. 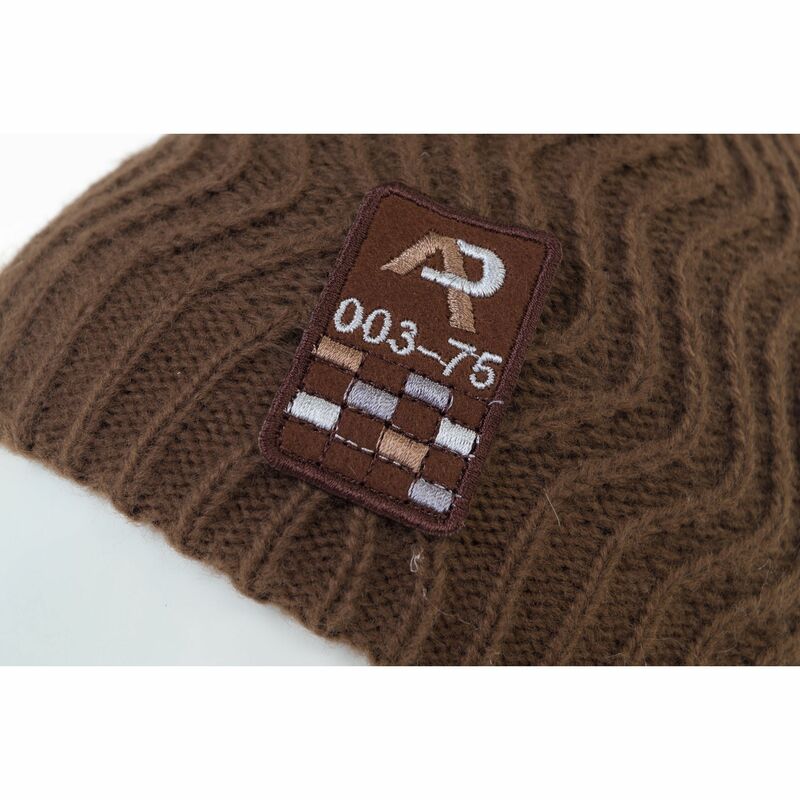 A patch sewn on the side slightly on the side.